Add a touch of class to your home with the Impressive Classic Oak Beige laminate flooring. This new top quality flooring will create a sense of space in the room with its rustic tones. Enjoy the flooring for longer with a 25 year warranty, and in the bathroom take advantage of a 10 year water warranty*. Order your Quickstep Impressive Classic Oak Beige laminate flooring from Flooringsupplies.co.uk today. The customer service was very good. I spoke on the phone to a salesperson who was extremely helpful and talked me through the whole process ensuring that I got what I needed. My flooring arrived well packaged and I was kept very well informed about the delivery time and what needed to happen when the delivery arrived. The wood laminate I ordered looks and feels like wood. My builder is impressed! Thank you very much. Quickstep Laminate flooring is of excellent quality and is very easily laid because of the interlocking system and the stiffness of the planks, which do flex or bend while one is trying to lay them. The material surface is also very hard and durable, as I proved when using a discarded piece of plank under an article I was drilling, and when the drill bit penetrated, it made little impression in the plank's surface. What is the size of the Scotia edging? 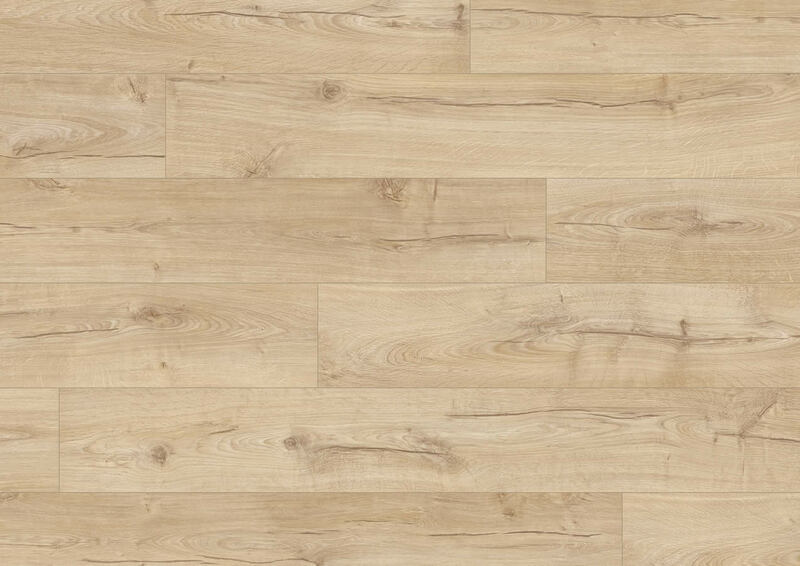 If I am laying laminate directly onto a concrete floor, does it need treating in any way before the underlay and laminate is laid or does the underlay do the job? Good Morning Most underlays will do the job but the most important element you require is a DMP between you flooring and the concrete. All descriptions on the site will stat if it does or doesn't so this should help. Which underlay do you recommend to go over a cosy floor underfloor insulation?